After finally getting an internet connection that can handle it, I'm planning something I call "Ask Leo! Live". Ask Leo! Live is a 30 to 60 minute live video show where I take and answer your questions in real time. Before I start, I'd like to ask a couple of questions of you (3, multiple choice, to be exact) to help me decide when to do it (time of day, and day of week), and where (what live streaming video service to use). I've put together a short survey right here. If you would consider taking a couple of minutes to answer a few questions, I'd really appreciate it. 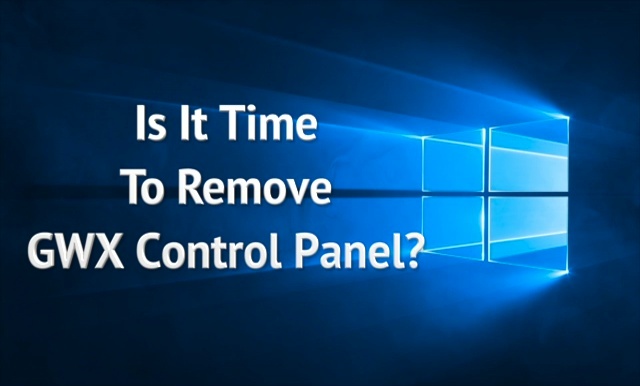 Continue Reading: Is It Time To Remove GWX Control Panel? Windows doesn't really care at all, for reasons that we often overlook. Let's have a look at booting, who does what at boot time, and why you probably can boot from an SD card if you really want to. Continue Reading: Why can't I boot from an SD card? Try as I might, I can't get my computer to output sound. Nothing. I can't figure out what's wrong. That's actually a composite of questions that I get very, very often. Sometimes it applies to only specific applications; other times it applies to the entire machine. The problem is, it's a single silent symptom that can come from several sources. So, let's run down a bit of a checklist. click bait (or clickbait) is a term applied to links, headlines, or titles written in a sensationalistic way in an attempt to entice you to click through to read the associated article or post. The most common characteristic of click bait is the "over the top" terminology used to over-promise what the target material typically underdelivers. Phrases like "you won't believe", or "will blow your mind" and others have become so common as to become parodies of themselves. I've had good results from gmx.com. They don't require any special authentication when traveling. I mainly use it as an alternate email address to authenticate my other accounts when necessary, but it can be used as your main freemail provider. They are owned by 1&1, one of the largest ISP's in Germany and a major Webhosting service in the US. So I expect them to be around for a while. Backup -BACKUP!! If you're worried about loosing vital data use multiple places; an external HD, thumb Drives, DVDs, tape backups. Something! and enclose it it a lead-lined container to stop the errant gamma rays. That will, at least, give yourself some sense of protection. Really, S&%t Happens and it's best to expect that nothing lasts longer than it's Use-By-Date. Deal with the fact that it WILL happen and be ready. Happened here, too - no readily apparent explanation. I've also been told by a computer professional to keep the tower off of carpeting - that the static can build up and affect the drive. True? Static can definitely harm a computer. You can actually get anti-static mats to help with that. My father and my mother have both fallen for this scam over the past several of years. My Mom is 67 years old and only uses her lap to go on Facebook and play games. After she got sucked in the last time we took it to a computer tech place to be reset and she no longer has any banking info on it. I am now living with her and use the same internet connection for my own computer. I found out today that she was almost sucked in by this scam again. This may seem like a stupid question but if she allows access to her computer, are other computers on the same internet connection at risk in any way? Possibly, yes. It depends on the sophistication of the scammers, exactly what they do, and the specific setup of your network.